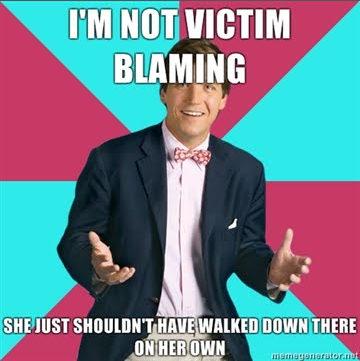 Victim blaming is victim blaming no matter what the circumstance, identity, or relationship-status is! A few simple definitions that apply to everyone are consent and coercion. Consent is a clear and freely given YES, not the absence of a no. Many of the situations I read happened while the asexual identified partner was asleep… that is NOT consent. Another common feeling expressed in these forums was the feeling that they owed their sexual partner something. In the same way a heterosexual woman never owes a heterosexual man for buying her a drink, an asexual identified person should never feel that they have to do something with their body that is not comfortable. Coercion can be defined as “the use of emotional or psychological force to pressure someone into giving in to a sexual act they would not otherwise perform.” My hope is that everyone, in all types of relationships, would never have a partner who they trust and love coerce them into sexual acts. Take away messages? You have the right to be comfortable with everything that happens to your body. You have the right to say no to any sexual act. And if you are sexually assaulted, it is never your fault. ← What is the “Bisexual Bridge”?